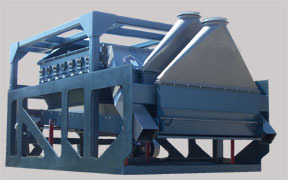 The Cantrell 60" wide Beater / Shaker is used to produce hulls with a minimum oil content by efficiently beating the hulls to remove the high protein finished meats. 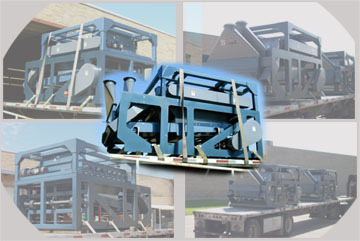 The machine consists of an eight-chamber beater section mounted above a shaker separator tray. 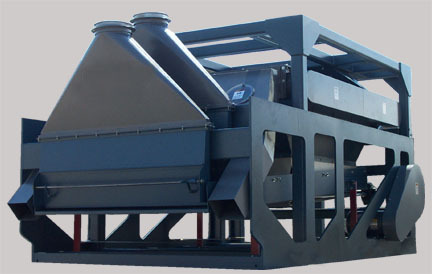 The Beater Separator combines mechanical and pneumatic forces to effectively remove hulls from decorticated oil bearing seeds, including cottonseed, sunflower, soybeans, peanuts, etc. Solidly designed and built for most generic hullers to be mounted over the frame. Self cleaning aluminum sash for level consistant results. Extra heavy duty eccentrics for smooth operation and long life. The most efficient primary removal of hulls from oil bearing seeds on the market today. Beater screens mounted in easy- pull trays for quick change and ease of maintenance.